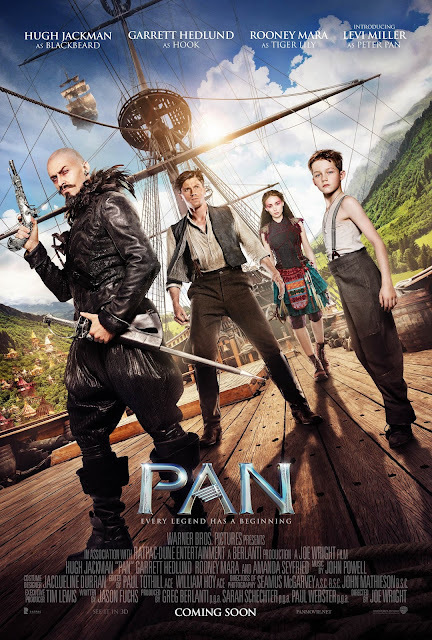 The first trailer for Pan really grabbed my attention, and despite a change of release date which took it out of the Summer, I’ve been looking forward to Joe Wright’s re-imaging of Peter Pan ever since. Now, a new trailer has come our, giving us another look at the visually stunning and breath taking world he has constructed, as well as Hugh Jackman having an absolute blast as the villainous Blackbeard. Synopsis: The story of an orphan who is spirited away to the magical Neverland. There, he finds both fun and dangers, and ultimately discovers his destiny -- to become the hero who will be forever known as Peter Pan.